Welcome to The Session – a collaboration of bloggers writing on a common beer-related topic once a month. For April, Sean Inman over at Beer Search Party chose “Cult Beers” as the collective topic to explore. A round-up of all the blog posts for this topic can be found here. You can read more about Beer Blogging Friday (“The Session”) over at the Brookston Beer Bulletin. The topic du mois for April’s Beer Blogging Friday covered Cult Beers, or as Sean mused, “what beer or beers that I would get up at 4:00 in the morning, drive across state lines, stand in a long unmoving line in the cold and rain for a change to taste with a crowd the size of Woodstock?” The short answer for both Tom and I would have to be No - there isn’t such a beer out there that engender such a fanatical quest. Sure I get excited when I get my mitts on a Black Albert or a rare bottle of Cantillon, but not enough to go on an Easy Rider-esque road trip. As we ruminated on last month, what excites us the most about beer is not neccessarily the contents of the bottle, but the intertwined social connections that result from the love of beer. Of course, no one wants to be the sour mash that stinks up the mood of the collective effort, so we thought we’d take a bit more of a lighthearted approach as our contribution to Session #38. Here is a look at some of the fictitious “cult beers” that have become part of American popular culture. These are beer brands that have never truly been available for public consumption, but they have still engender a cult-like following. 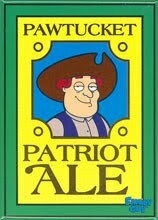 Pawtucket Patriot Ale (Family Guy). Maybe it is because I live 40 minutes away from the location of this fictitious brewery (Pawtucket, RI), but I’ve always had a love for the brand. Sure it is a knock-off of Sam Adams, but anyone who is a fan of Family Guy would recognize and appreciate this label. Hell, you can buy T-shirts, pint glasses, boxer shorts, etc – all for an imaginary product. 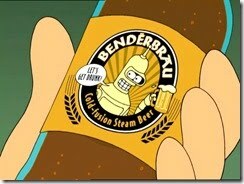 BenderBrau Cold-Fusion Steam Beer (Futurama). While it doesn’t have the same brand recognition as the other fictional beers on this list, Cold-Fusion is a cult favorite amongst the die hard fans of Futurama (rivaled by the likes of Olde Fortran Malt Liquor and a certain other beer making an appearance below). Besides, what a great freakin name. 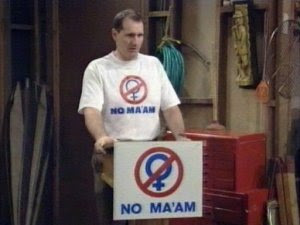 Girlie Girl Beer (Married With Children). 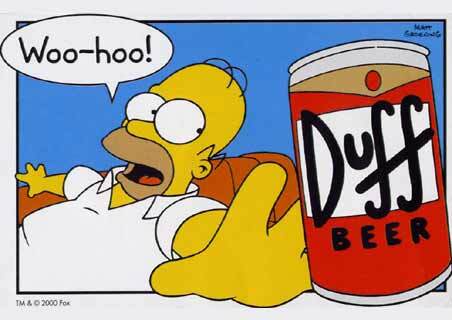 The favorite suds of the legedary Al Bundty, Girlie Girl Beer was also the official beverage of NO MA'AM - the National Organization of Men Against Amazonian Masterhood), a pro-male activist group whos meetings were held in Al's garage. As a symbol of protest for oppressed, suburban husbands in Bundty's neighborhood, Girlie Girl and NO MA'AM gave the guys a glimmer of hope that the free-willed bachelors they used to be had not been completely driven from them. 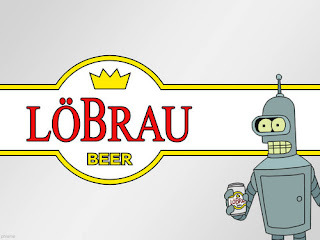 Löbrau Beer (Futurama). Yeah, another Futurama ‘product.’ While not as popular as the Futurama beers listed above, this one has such a great ‘give the finger to industrial beers’ attitude that it had to make the list. 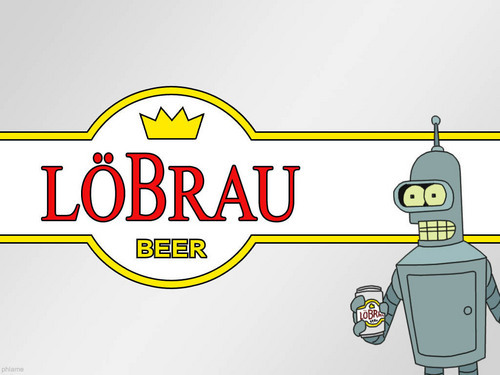 Bender: Ahh beer. So many choices, and it makes so little difference. Fry: How about Löbrau? It has dots on it. Butterbeer (Harry Potter). 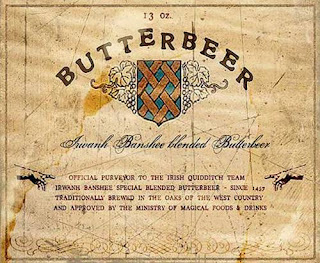 Ok, while there is a bit of a nerdy side to this reference, Butterbeer is featured during many of the important events in the Harry Potter series giving the beer a sort of brand recognition for fans of the books. 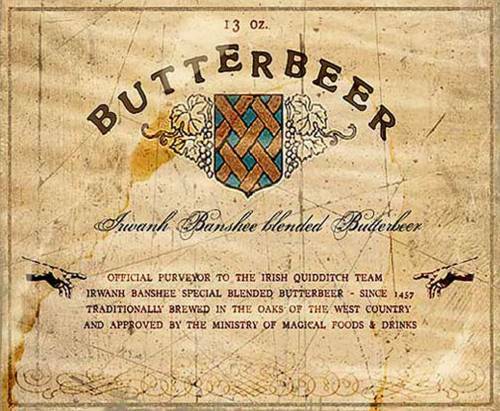 The beer itself is the low alcohol drink favored by students at Hogwarts School of Wizardry. There are probably hundreds of other fictional beer brands out there that have enough of a fan base to be considered ‘cult’ beers. Let us know your favorite.